Dumbbells are weights that come in pairs and fit into each hand. Most have preset weights on each end that are non-adjustable. They can be found in almost every gym. They are usually stored on racks up against the wall in numerical order. When you use them it is always polite to put them back in the correct numerical spot when you are finished. 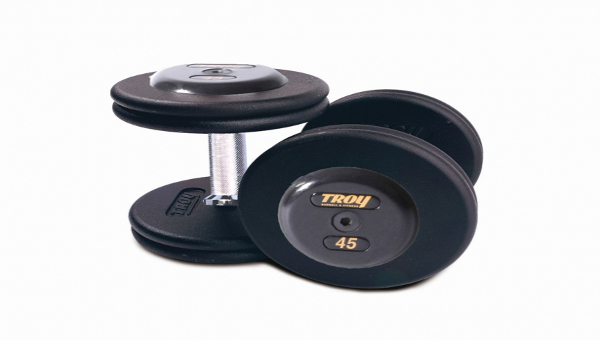 They are a very versatile tool that can be used to exercise almost every single muscle group. Even if you only have one pair of dumbbells similar to the ones in the image above, you can create a workout just as good as if you were in a huge gym with hundreds of machines.